The Nederlands celebrates 100 years of "De STijl". This group of artists who caused a whole movement and the biggest revolution in art history, was foundet 1907 in Leiden. The whole country celebrates with shows on the topic. 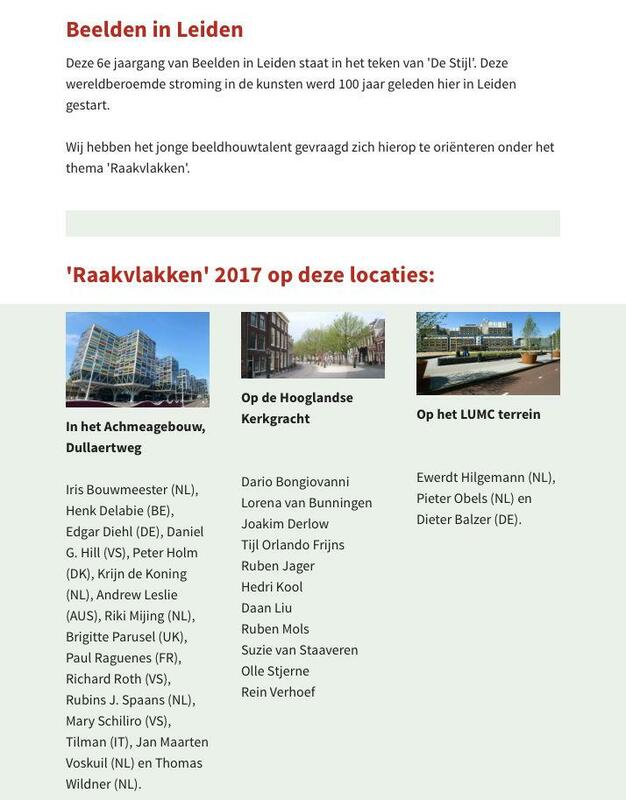 Leiden will have the best! I am comprehendet in in the show "BEELDEN IN LEIDEN" which is on sculptures and reliefs at the Archimea Building, Leiden.